Late-onset Alzheimer’s disease (AD) is a complex age-related neurodegenerative disorder that likely involves epigenetic factors. 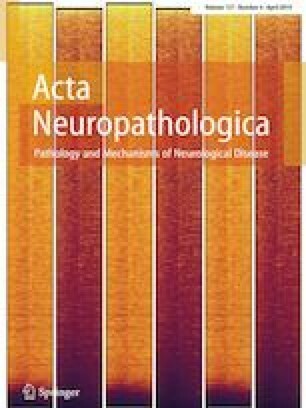 To better understand the epigenetic state associated with AD, we surveyed 420,852 DNA methylation (DNAm) sites from neurotypical controls (N = 49) and late-onset AD patients (N = 24) across four brain regions (hippocampus, entorhinal cortex, dorsolateral prefrontal cortex and cerebellum). We identified 858 sites with robust differential methylation collectively annotated to 772 possible genes (FDR < 5%, within 10 kb). These sites were overrepresented in AD genetic risk loci (p = 0.00655) and were enriched for changes during normal aging (p < 2.2 × 10−16), and nearby genes were enriched for processes related to cell-adhesion, immunity, and calcium homeostasis (FDR < 5%). To functionally validate these associations, we generated and analyzed corresponding transcriptome data to prioritize 130 genes within 10 kb of the differentially methylated sites. These 130 genes were differentially expressed between AD cases and controls and their expression was associated with nearby DNAm (p < 0.05). This integrated analysis implicates novel genes in Alzheimer’s disease, such as ANKRD30B. These results highlight DNAm differences in Alzheimer’s disease that have gene expression correlates, further implicating DNAm as an epigenetic mechanism underlying pathological molecular changes associated with AD. Furthermore, our framework illustrates the value of integrating epigenetic and transcriptomic data for understanding complex disease. Stephen A. Semick and Rahul A. Bharadwaj contributed equally to this work. The online version of this article ( https://doi.org/10.1007/s00401-019-01966-5) contains supplementary material, which is available to authorized users. SAS performed analyses and led the writing of the manuscript. RAB assessed neuropathology, contributed to biological study design and interpretation, and writing of the manuscript. LCT processed RNA-seq data and contributed to its analysis. RT performed APOE4 genotyping. JHS performed data generation. AD performed clinical reviews. JRW contributed to the analysis of the DNAm data. DRW contributed to the study design, interpretation of the results, and writing of the manuscript. TMH performed tissue dissections, contributed to the study design, interpretation of the results, and writing of the manuscript. JEK oversaw tissue collection and contributed to the study design, interpretation of the results, and writing of the manuscript. AEJ and VSM co-led the study, including the design, statistical analyses, interpretation, and writing of the manuscript. This work was supported by the funding from Lieber Institute for Brain Development and the Maltz Research Laboratories. Postmortem human brain tissue was obtained by autopsy primarily from the Offices of the Chief Medical Examiner of the District of Columbia, and of the Commonwealth of Virginia, Northern District, all with informed consent from the legal next of kin (protocol 90-M-0142 approved by the NIMH/NIH Institutional Review Board).